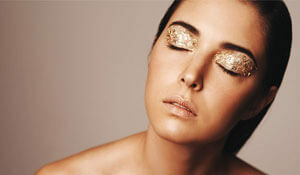 A party makeup look doesn’t mean you have to go overboard with makeup. You can look extremely glamourous without a heavy makeup look. 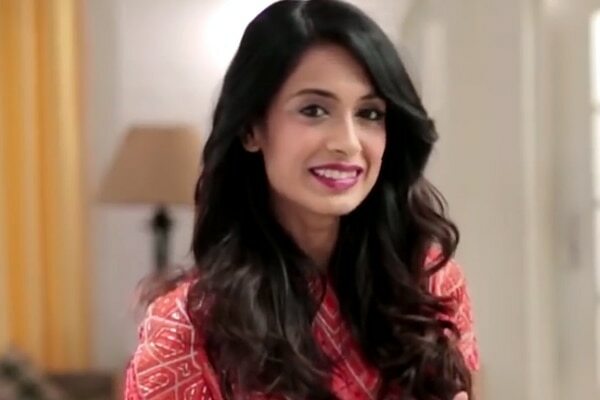 Whether you are a makeup novice or a makeup junkie, this easy makeup tutorial with beauty queen Sarah-Jane Dias will come in handy when you are pressed for time and need to get ready in a few minutes. Watch the video to ace the party makeup look effortlessly in a few simple steps. Step 1: Prep your face by applying the Lakmé Absolute Skin Gloss Gel Crème. This will help moisturise your skin and prevent it from feeling dry through night. Step 2: Use the Lakmé Absolute White Intense Concealer Stick SPF 20 in a shade closest to your natural skin colour to hide blemishes, dark circles, dark spots and other skin problems. Use this on the bridge of your nose, forehead, and chin to highlight those areas. Step 3: Take a little bit of the Lakmé Absolute White Intense Skin Cover Foundation and using your favourite foundation brush blend it into your face and neck for an even finish. Step 4: Set the concealer and foundation in a patting motion with the Lakmé Absolute White Intense Wet & Dry Compact. Step 1: Use the peach shade from the Lakmé 9 To 5 Eye Quartet Eyeshadow - Desert Rose all over you lid and for the inner corner. Step 2: Define your eyes using the Lakmé Absolute Kohl Ultimate Kajal on your waterline and line them using the Lakmé Absolute Gloss Artist Eye Liner on the upper lid. Create a tiny wing for added drama. Step 3: finish your eyes by adding several coats of the Lakmé Absolute Flutter Secrets Dramatic Eyes Mascara on the upper as well as lower lashes. Apply some Lakmé Absolute Face Stylist Blush Duos to the apples of your cheeks and blend well. Step 1: Line your lips with the Lakmé 9 To 5 Lip Liner - Red Alert. Step 2: Using a lip brush, apply the Lakmé Absolute Sculpt Matte Lipstick - Burgundy Affair all over your lip. Quick tip: Apply the lightest shade from the Lakmé 9 To 5 Eye Quartet Eyeshadow - Desert Rose and apply it to the centre of your lip to further enhance your lips.